The multi-purpose camera for the industrial worker. 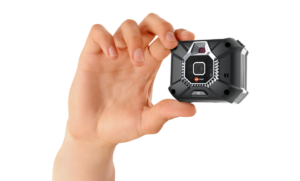 The Onsight Cube is a multi-purpose camera that is optimized for remote mentoring. The magnetic auto-latch mount provides an easy and secure way to attach the Onsight Cube to hardhat and headband accessories. 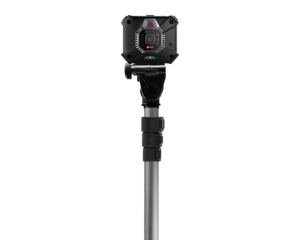 The multi-purpose design gives users the ability to capture visuals in hard to reach places using a monopod or perform up-close inspections in hand. 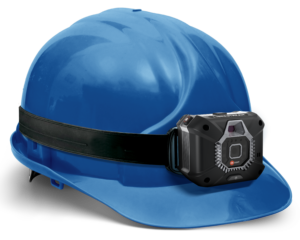 Mount the Onsight Cube to a hardhat for secure hands-free use. Magnetic auto-latch mount provides easy attachment. Clips lock the band in place. Attach the Onsight Cube to a monopod to access hard-to-reach places. Supports a wide range of monopods and other standard tripod mount accessories. Hold the Onsight Cube to perform up-close inspections. To protect from accidental drops, the Cube includes a safety lanyard for the wrist. Written by Elwood Friesen , at Librestream Technologies Inc.